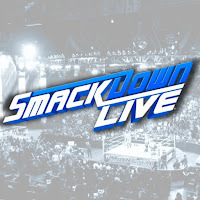 Tonight's SmackDown opens up from The O2 in London, England. Tom Phillips welcomes us. 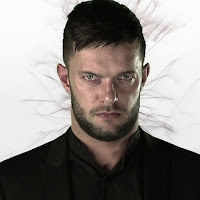 He's joined by Corey Graves and Byron Saxton. They go over the feud between Shinsuke Nakamura and WWE Champion AJ Styles. They will face off tonight in a non-title match with the winner picking the stipulation for their title match at Money In the Bank. - We go to the ring and Renee Young has a mic. She introduces Daniel Bryan and out he comes to a pop. Renee starts with her interview and asks about last week's loss to Rusev but fans are chanting Bryan's name. Bryan tells Renee to feel that and she says you can't help but to feel it. Fans chant "yes!" now. Bryan says no one likes to lose. When he came back, he was just happy to be back and doing what he loves but now it's not enough to be back. He doesn't want to just be back, he wants to be on top. 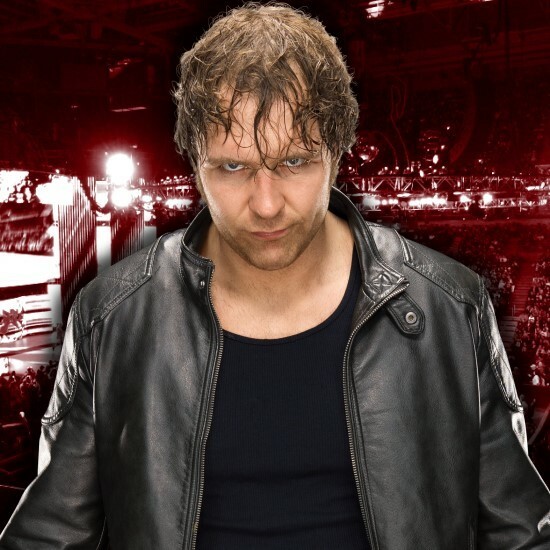 He knows it will be a fight the entire way but before it's all said and done, he will become the WWE Champion. Bryan goes on but Big Cass comes out with a mic to interrupt from the stage. Cass says he's been in the back listening to Bryan run his mouth and he's sick of it. Cass says Bryan may have all the people fooled but he doesn't have Cass fooled. Cass says he knows the real truth about Bryan. Cass disagrees with Renee's comments on the loss to Rusev being Bryan's first major setback since returning. Cass says he was Bryan's first major setback. 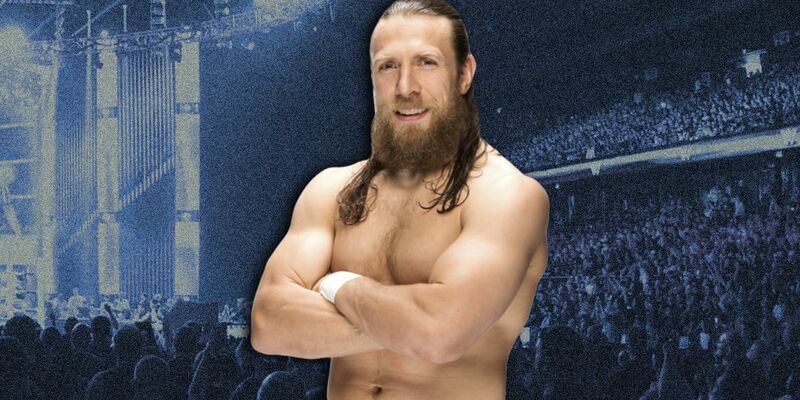 He is why Bryan lost to Rusev and he will keep making sure Bryan loses so he will never live his dreams in WWE again. Cass says he didn't tap out at Backlash, he only tapped out so he could get out of the hold to get right back up and beat the holy hell out of Bryan again. Cass says that's exactly what he did. He beat Bryan down like he will continue to do. Cass says Bryan won't be able to go anywhere in WWE without a 7 foot shadow following him around. Fans chant Bryan's name again. Cass mocks Bryan and his record set in the Greatest Royal Rumble match. Cass says he got into the ring with Bryan and easily eliminated him, proving to the world once again that Bryan is a loser. Fans boo Cass. Cass goes on taking shots at Bryan and mentions Brie Bella wearing the pants in the family. Bryan isn't happy. Cass enters the ring now as Bryan stares him down from across the ring. Cass mocks the "yes!" chant but Bryan nails him. Bryan unloads and dropkicks the knee, sending Cass into the corner. Bryan unloads with strikes in the corner as fans count along. Bryan goes for the knee some more and continues the assault in the corner. Fans boo as referees get Bryan to back off. Bryan runs around the ring and wraps Cass' leg around the ring post a few times. Officials get in the way again. Bryan returns to the ring as Cass gets to his feet limping. Bryan takes out the knee from behind. Bryan locks in a heel hook submission and Cass screams in pain. Referees and WWE producer Adam Pearce try to get Bryan to break the hold. Cass retreats to the ramp and limps away as fans chant for Bryan. Cass is helped up the ramp as Bryan looks on from the ring while his music plays. Bryan leads a "yes!" chant now. - Still to come, Shinsuke Nakamura vs. AJ Styles with the winner picking their Money In the Bank stipulation. Also, The New Day vs. The Bar in a MITB qualifying match. We go to commercial. Back from the break and out comes The Miz to join the announcers at ringside for commentary. Out first comes The New Day - Big E, Kofi Kingston and Xavier Woods. The winners of this match will get to select one member to enter the men's MITB Ladder Match next month. Out next comes The Bar, Sheamus and Cesaro. Xavier starts off with Cesaro but Sheamus gets sent to the floor as well. Woods drops Cesaro and runs the ropes to leap out onto Sheamus. Woods comes back in on Cesaro and covers for a 2 count. Cesaro counters a move and in comes Sheamus for a big double team move out of the corner. Sheamus with a 2 count on Woods. Sheamus keeps control of Woods and in comes Cesaro with another tag. They double team Woods some more and send him out to the floor as we return to commercial. Back from the break and Sheamus is in control of Woods after knocking Big E off the apron. Cesaro tags back in with a double team move off the top rope and another pin attempt. We see two MITB briefcases hanging high above the ring. Cesaro keeps control of Woods until Woods backdrops him over the top rope. Cesaro lands hard on the floor. Fans rally for The New Day as Woods finally makes the tag. Big E comes in and unloads as Sheamus also tags in. Big E with belly-to-belly suplexes as fans pop. Big E dances over Sheamus in the middle of the ring. Big E runs the ropes for the splash but Sheamus gets his knees up. Big E catches Sheamus with a big slam out of the corner for a 2 count. Cesaro runs interference but Big E still kicks out of Sheamus' pin at 2. Cesaro tags back in for some double teaming, including a double DDT. Cesaro covers Big E for a 2 count. Cesaro goes for the Sharpshooter on Big E now. He finally gets it locked in as Kofi tries to rally for Big E. Woods tries to assist but Sheamus pulls him to the floor. Woods sends Sheamus into the steel ring post and goes back in to break the Sharpshooter. Woods tags in and nails a tornado DDT on Cesaro for a very close 2 count. More back and forth now. Woods sends Cesar into the post and then plants him face first into the mat. Sheamus and Big E get involved now. Big E sends Sheamus to the apron and then nails a big spear, sending Sheamus to the floor with him. Woods goes to the top and hits the flying elbow drop to Cesaro for the pin. The New Day will get to pick a member for MITB now. - After the match, The New Day dances in the ring as we go to replays. The celebration continues as pancakes fly into the crowd. - Still to come, Nakamura vs. Styles and the Royal 'Mellabration. Back to commercial. 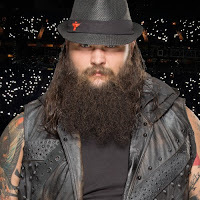 - Back from the break and we get another creepy vignette from SmackDown Tag Team Champions The Bludgeon Brothers to put the other blue brand tag teams on notice. They have been waiting but time is up. - SmackDown General Manager Paige is backstage on the phone with Carmella. She says Carmella cannot have a horse-drawn carriage for her celebration tonight. She lets Carmella go as Mandy Rose and Sonya Deville walk in. Rose says Paige banning Deville from ringside last week didn't work because she won and is now going to Money In the Bank. Paige says that wasn't a qualifying match. This leads to Paige making Deville vs. Rose vs. Becky Lynch in a Triple Threat qualifier for tonight. Paige wishes them good luck and they walk off, not happy about having to go against each other. - Renee is backstage with AJ Styles, asking him about tonight's main event. AJ says everyone will be entertained, no matter what stipulation he chooses, except for The Con Artist, Shinsuke Nakamura. AJ goes on and says Nakamura cannot beat him in the house that he built. AJ walks off. - Still to come, Andrade "Cien" Almas debuts. Back to commercial. Back from the break and out comes former WWE NXT Champion Andrade "Cien" Almas for his main roster debut. Business manager Zelina Vega is with him. Jake Constantino, a local enhancement talent, waits in the ring as Greg Hamilton does the introductions. Almas stares Constantino down before they lock up. Almas with an elbow to break out of a hold. He then shoves Jake to the mat aggressively. Constantino tries to mount some unexpected offense but Almas drops him as Vega cheers him on. Almas with offense in the corner now. Fans chant for NXT as El Idolo hits the double knees in the corner. Vega calls for Almas to finish the match. Almas nails the hammerlock DDT in the middle of the ring for the easy win. - After the match, Vega joins Almas in the ring to celebrate as we go to replays. Vega takes the mic and says this is SmackDown but they were expecting more. She says Almas finally comes to SmackDown after the anticipation and they get this pathetic opponent. She knocks the locker room and says they came to SmackDown to take over. - We go backstage to Rusev and Aiden English. It sounds like English arranged for Rusev to have his own dressing room. Rusev says it's not bad but the guy who beat Daniel Bryan last week deserves better. English disses London and goes to give a sneak peek of the song he has planned for Money In the Bank but Lana walks in all smiles. She tells Aiden to save his beautiful voice because he will soon have another ravishing song to sing. She reveals that she has a MITB qualifying match against Billie Kay for next week's SmackDown. Lana says she will crush Billie and then they will go on to be the first couple to hold briefcases. 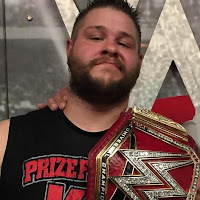 Rusev says they will then rule SmackDown together. English belts out a "Rusev Day" tune as Lana and Rusev pose. - Still to come, Becky Lynch vs. Sonya Deville vs. Mandy Rose. We get a look at Carmella's locker room door before going back to commercial. - Back from the break and fans boo as it's time for the Royal 'Mellabration with SmackDown Women's Champion Carmella. A man comes to the stage and gives Carmella a grand introduction, UK style. He mentions how Carmella defeated Charlotte Flair twice. He goes on and introduces Carmella. Soldiers who look like they came from The Queen's Guard come out to the stage. One of them has the title on display. The music transitions into Carmella's theme and out she comes. She grabs the title from the one soldier and heads to the ring. Carmella puts the title on display when she enters the ring. There is a red ring apron cover. Carmella wants to give everyone the chance to show how much they love her before she begins the 'Mellabration. She counts down and tells everyone to start cheering for her but most fans boo. Carmella asks what is wrong with the people. She says they will line up outside of a hospital to get a glimpse of a royal baby but they won't give her the respect she's earned. Carmella rants and commands everyone to bow down in front of her. Fans just boo. Carmella says he fans remind her of everyone on the SmackDown women's roster because no one thinks she's good enough or deserves to be champion. Mella Is Money, she says, and Mella Is Champion. That makes her better than each and every one of the fans in the crowd. She goes on about how she's better than everyone, from Sasha Banks to Alexa Bliss to Ronda Rousey. She's also better than WWE Hall of Famers Trish Stratus and Lita combined. She goes on but the music interrupts and out comes SmackDown General Manager Paige to a pop. Paige heads to the ring and Carmella assumes she's out here to show the people how to properly treat a princess. Paige says it's good to be home in England. Some fans chant "this is your house" now. Paige thanks them and says she's here to announce Carmella's opponent for Money In the Bank. Carmella stops her and says she's not defending at Money In the Bank. Paige says yes she is and it will be against this woman... the music hits and out comes Asuka to a pop. Carmella is not happy. The Empress of Tomorrow removes her mask and smiles at Carmella. Carmella grabs her title and goes to leave while talking trash and avoiding Asuka. Asuka's music hits as Carmella raises the title in the air from the ramp. Asuka looks on and stares her down. - Renee Young is backstage with Shinsuke Nakamura. She says Nakamura has been unsuccessful against AJ but a win tonight will give him an advantage at Money In the Bank. She asks about his chances. Nakamura says she is using the wrong word because this is certain to happen, he will hit AJ with knees to the face until AJ's face is gone. Nakamura says he will dishonor AJ and then take AJ's title. Nakamura walks off. - Still to come, Becky vs. Deville vs. Rose. Back to commercial. Back from the break and out comes Becky Lynch for the next MITB qualifying match. Mandy Rose is out next with her own entrance. Sonya Deville is out next, also with her own entrance. The bell rings and Becky immediately has to deal with the numbers game. They take turns on Becky. Rose rolls Deville up out of nowhere for a 2 count. Rose and Deville argue as we go to commercial. Back from the break and Deville has apparently dropped Rose and Becky. Deville unloads on Becky as we see the briefcases hanging high above the ring. Becky fights back and clotheslines Deville a few times. Becky with a dropkick to Deville. Becky keeps control and hits the Bexploder suplex, sending Deville into the corner. Deville counters and drives Becky down out of the corner. rose runs in and sends Deville out of the ring, trying to steal the pin on Becky but she kicks out at 2. Becky comes right back with a 2 count on Rose. Rose counters and sends Becky into the turnbuckles. Rose with a big Facebuster for a pin attempt but Deville tries to steal it. Deville with a 2 count. Deville works over Becky in the corner now. Deville takes Becky to the top for a superplex but here comes Rose. Rose gets Deville on her shoulders. Becky dropkicks them both down at the same time from the top. All three Superstars are down now as the referee checks on them. Becky gets up first and covers Rose for a 2 count as Deville rolls to the floor. Becky and Rose trade shots in the middle of the ring now. Rose grabs Becky for a double underhook but it's blocked. Becky goes for the Dis-Arm-Her but Sonya comes in with big kicks to break it up. Deville delivers a sliding knee to Becky for another close 2 count. More back and forth now. Rose charges at Becky with a knee but Becky moves and the knee drops Deville. Rose is shocked. Becky kicks out of a pin attempt by Rose. Becky goes right into the Dis-Arm-Her and makes Rose tap for the win and the MITB spot. - After the match, Becky stands tall and celebrates as her music hits. We go to replays. Becky taunts Rose as she backs up the ramp. - Still to come, Nakamura vs. Styles for the first time one-on-one on SmackDown. Back to commercial. - Back from the break and two MITB qualifiers are confirmed for next week - Lana vs. Billie Kay and Samoa Joe vs. Big Cass. We cut backstage to a video recorded by Joe. 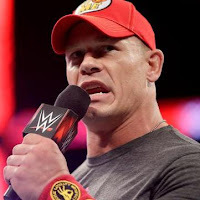 He sends a serious warning to Cass for next week's match. Joe says Cass is just viewed as an obstacle that he will put to sleep. We cut to a backstage video recorded by The IIconics next, Billie and Peyton Royce. They take shots at London and Lana, and hype themselves up like only The IIconics can do. We go to the ring for tonight's main event and out first comes Shinsuke Nakamura. The winner of this match will get to pick the stipulation for their title match at Money In the Bank. WWE Champion AJ Styles is out next for this non-title match. Back from a commercial and the match is underway. They lock up and trade holds as fans do dueling chants. Nakamura with a 2 count. Styles comes right back with a pin attempt of his own. Nakamura toys with Styles but eats a dropkick for his troubles. Styles takes Nakamura to the corner and works him over. Nakamura blocks a suplex attempt and delivers knees. Styles comes right back with a backbreaker and Nakamura is down on the mat now. Styles approaches but Nakamura rolls to safety on the outside. Styles launches himself over the top rope and nails a forearm to drop Nakamura on the floor. Styles brings it back in but Nakamura rolls back out on the opposite side. Styles looks to deliver a sliding knee from the apron but Nakamura counters with a big kick. Nakamura with another big shot before bringing AJ back in and covering for a 2 count. Fans get loud again as Nakamura looks down at AJ and we go back to commercial. Back from the break and Nakamura remains in control. Nakamura rocks AJ against the ropes and takes him back to the corner. Nakamura puts the boot to AJ for some Bad Vibrations now. AJ tries to make a comeback but Nakamura ties him up. AJ with an elbow to break free. Nakamura charges and nails a big flying kick for another 2 count. Fans do more dueling chants as Nakamura keeps AJ grounded in the middle of the ring. Nakamura keeps AJ down but AJ finally breaks free with a knee to the head. Nakamura ends up taking AJ to the top. Nakamura climbs up for the superplex but AJ slides out. AJ with an enziguri and a pele kick to bring Nakamura back to the mat. More back and forth between the two now. AJ plants Nakamura face-first on the mat for another close pin attempt. Nakamura ends up sliding out of the Calf Crusher but misses the Kinshasa. They tangle some more and Nakamura drives AJ to the mat for another close 2 count. Fans chant "this is awesome" as Nakamura gets up first. Nakamura misses in the corner but comes back with the high knees. AJ is down on the apron now. Nakamura goes for a suplex on the apron but AJ hangs on. AJ rocks Nakamura but Nakamura boots him. Nakamura comes flying from the second rope and nails a knee on the apron. Nakamura brings it back into the ring for another close pin attempt. Nakamura ends up keeping control and waiting for the Kinshasa. Nakamura charges but AJ blocks it and goes for the Styles Clash. That is also blocked. AJ drops Nakamura with a shot to the neck but Nakamura still kicks out at 2. AJ tries to fly in with a forearm but Nakamura cuts him off mid-move. Nakamura nails the Kinshasa but AJ kicks out and Nakamura is shocked. Nakamura goes back to the corner for another Kinshasa. AJ nails a heel kick and blocks the move. AJ picks Nakamura up for the Styles Clash but it's blocked. Nakamura dumps AJ to the apron. AJ rocks him as he charges. AJ springboards in with the Phenomenal Forearm but Nakamura moves and AJ has to put the brakes on to avoid hitting the referee. Nakamura fakes receiving a low blow and the referee questions AJ. Nakamura takes advantage of the confusion and hits the reverse Exploder. Nakamura follows up with the Kinshasa for the pin and the right to pick their stipulation at Money In the Bank. 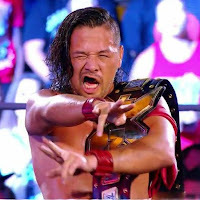 - After the match, Nakamura stands tall and celebrates as we go to replays. It looks like he will announce the stipulation at a later date. We come back to Nakamura holding AJ's head and talking some trash while AJ is down on the mat. 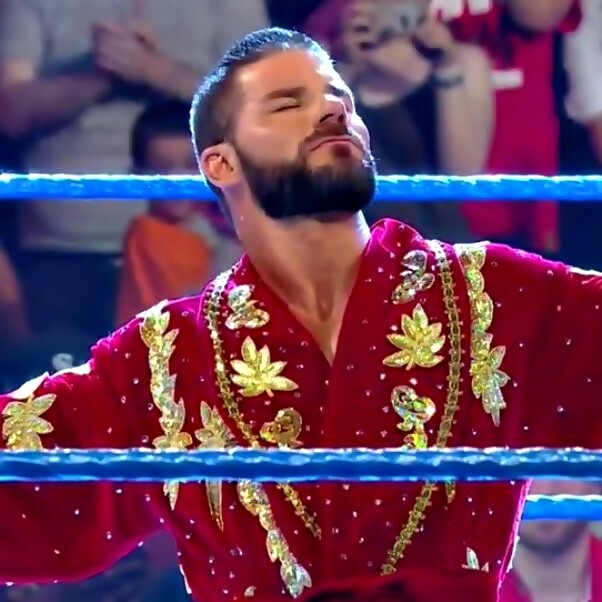 SmackDown goes off the air.